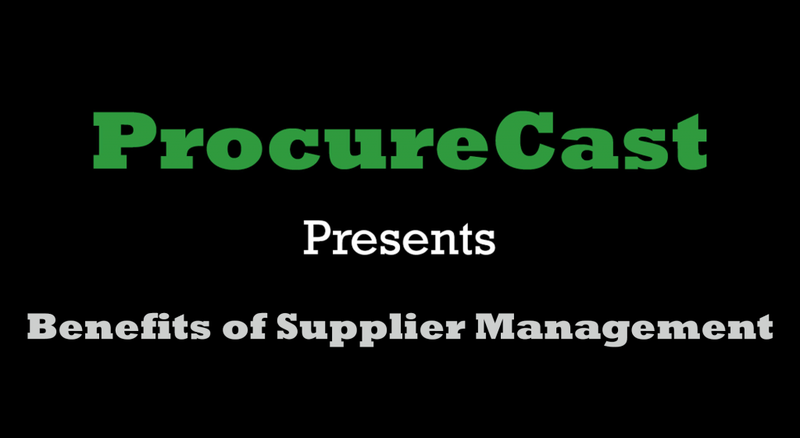 Today’s topic is the benefits of Supplier Management. Supplier management is the practice of evaluating and governing relationships between the various buyer-supplier activities within a supply chain. Often this is done through the creation of an International purchasing office. Supplier management gives supply chain professionals and procurement professionals insight into how their supply chain is operating. Supply chains are critical and they”re everywhere. And because of globalization – they”re getting bigger. It is cheaper to source supplies in certain parts of the world over others. This will also make your supply chain bigger. Supplier management is therefore necessary for creating a sustainable, competitive advantage. There are many different instances when supplier management is used, and we”re going to talk about one of them here. Pretend that you”re a procurement manager of a tire production plant in the U.S. You’ve noticed that the quality of rubber you’re getting from a supplier in Malaysia is getting worse. Supplier management would be useful in analysing why the quality of your supplies is dropping. An International purchasing office in this case would evaluate the quality of supplies, the quantity received, and the cost. If there are any problems, the international purchasing office would make the required adjustments. However because your tire production plant didn”t have an option like an international purchasing office, you weren”t able to catch these problems. So let’s take a look at some benefits of supplier management. The first benefit is cost management. Good supplier management practices can help you evaluate who would be a good supplier and where to save money. The second benefit is quality management. And quality management involves insuring supplies online casino and materials are up to par. Quality management will also tie into cost savings because you won”t have to replace faulty materials. An often overlooked but very important function of supplier management involves understanding cultural norms and differences for better buyer-supplier relationships. I can”t stress how important this is, because understanding how other cultures conduct business and understanding their values will produce trust. Trust will lead to better relationships. And better relationships will lead to better business practices. Of course there are cons to not having better supplier management practices. As I mentioned earlier you might not be able to catch quality defects in supplies. Or your suppliers might not like you, and if they don”t like you they won”t go the extra mile for you. Without good supplier management practices you lose-out on opportunities to cut costs and save money. Dedicated supplier management practices have a lot benefits and should be considered for optimizing your supply chain. Very good article ,well explained. Thanks for the information.